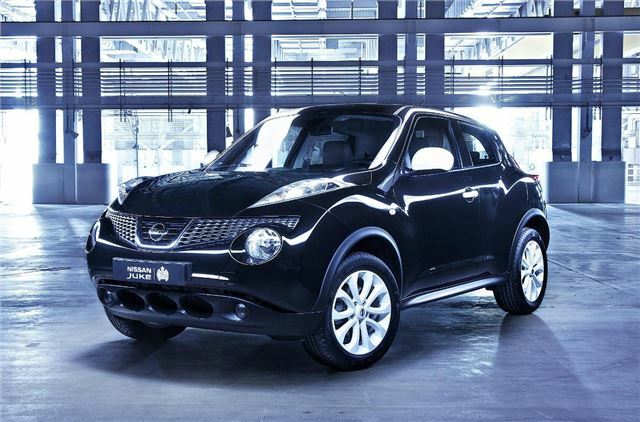 Nissan has teamed up with the Ministry of Sound to build a new limited edition Juke - 250 will come to the UK. Order books are open now and buyers will get an iPod touch, VIP voucher for the Ministry of Sound store and a set of headphones. The ‘Juke with Ministry of Sound’ is offered in metallic black or solid white paint finishes and features 17-inch white alloy wheels, white door handles, white mirror caps, a gloss black B-pillar and Ministry of Sound badges. The white details continue in the cabin, with a white centre console and door trims and white stitching in the leather seats, wheel and gear lever gaiter. There’s also an iPod cradle to buyers to easily listen to their music in the car. On top of that, all buyers get an 8GB iPod Touch loaded up with Ministry of Sound music, videos and images and engraved with Nissan Juke and Ministry of Sound logos. It also comes with a protective case and a set of headphones. The Juke with Ministry of Sound is offered with the full range of Juke engines, including the 117PS 1.6-litre petrol. This engine has been tweaked and features stop-start, lowering emissions from 139g/km to 136g/km and improving fuel economy.